Sometimes talent isn’t all you need. On the financial realities of writing and the unspoken reliance on modern-day patronage. Steamy shenanigans? Check. Family drama? Double check. Great read? You betcha. Bitter Lake. A ridiculously difficult quiz testing you on your knowledge of obscure English vocabulary. Geist is running a Literary Postcard Story Contest. You could win dollars and publication. Go on and enter! You may just be a book addict if.… Signs that you’ve been felled by this insidious infliction. The more you know: do you perpetuate these top ten grammar myths? 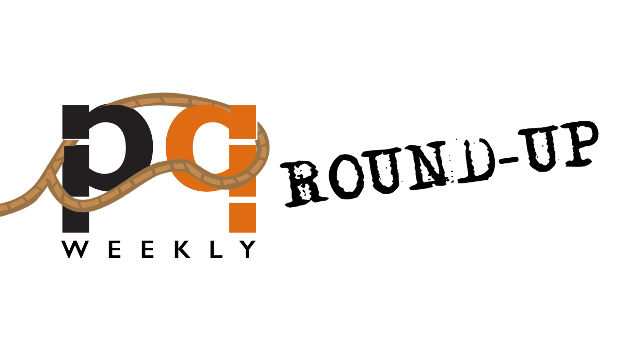 Stop by next week for more bookish links from around the web. This entry was posted in Letters from the Porcupette (the Intern's Blog) and tagged Bitter Lake, Geist, grammar, link roundup, quiz, writing finances. Bookmark the permalink.